This species is accepted, and its native range is Subarctic & Temp. Northern Hemisphere to Guatemala. Cultivada en Colombia; Alt. 2220 - 3500 m.; Andes. 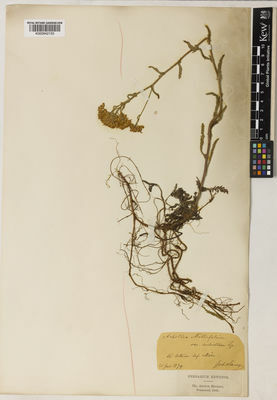 Achillea millefolium subsp. chitralensis Hub.-Mor. 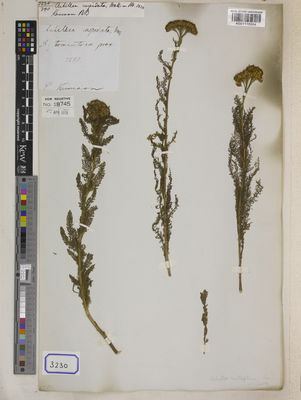 Achillea millefolium subsp. elbursensis Hub.-Mor. Achillea lanulosa var. alpicola Rydb. 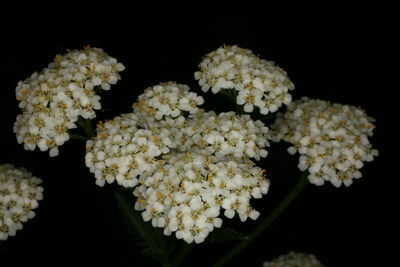 Achillea lanulosa f. rubicunda Farw. Achillea millefolium var. aspleniifolia (Vent.) Farw. Achillea millefolium var. borealis (Bong.) Farw. Achillea millefolium var. californica (Pollard) Jeps. Achillea millefolium var. gracilis Raf. ex DC. Achillea millefolium var. iserana Podp. Achillea millefolium var. maritima Jeps. Achillea millefolium var. nigrescens E.Mey. Achillea millefolium var. occidentalis DC. Achillea millefolium subsp. occidentalis (DC.) Hyl. 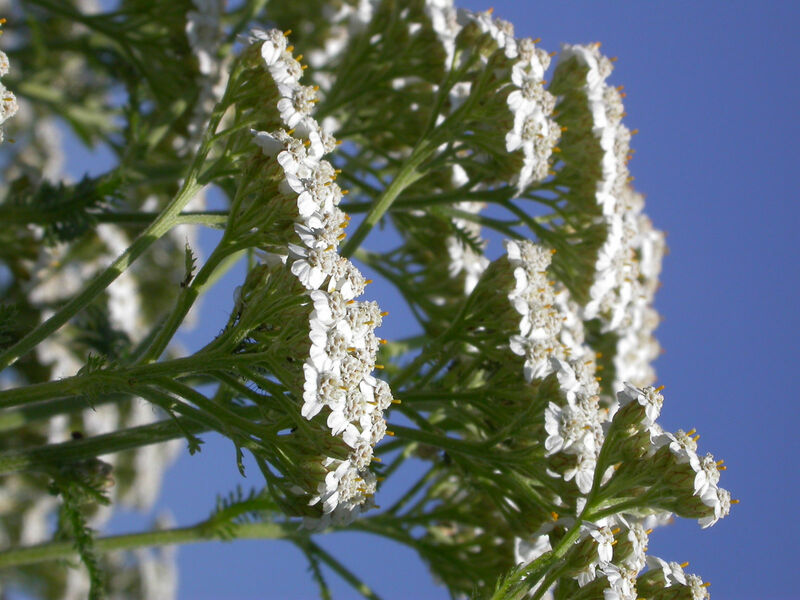 Achillea millefolium subvar. parviligulata Farw. 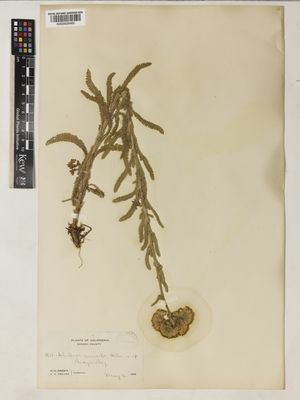 Achillea millefolium f. pseudopannonica Pamp. Achillea millefolium var. purpurea Wirtg. Achillea millefolium f. rubicunda (Farw.) Farw. 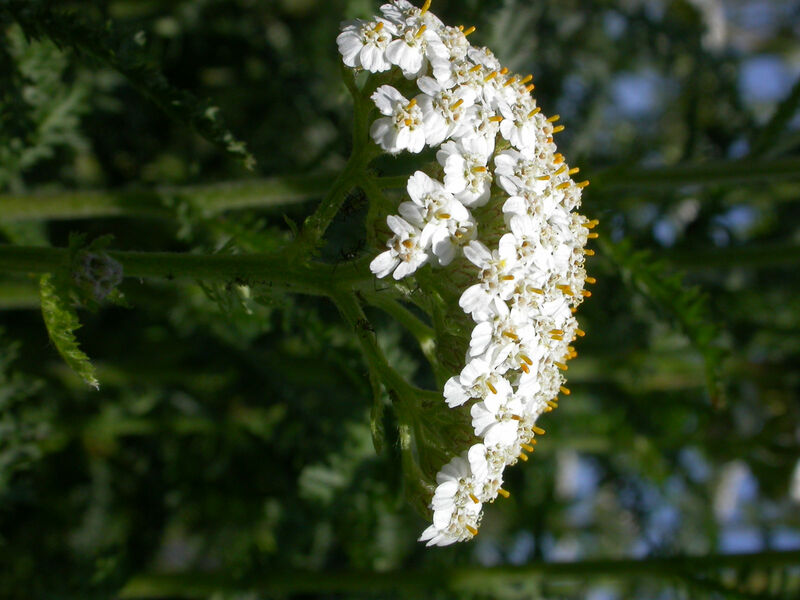 Achillea millefolium var. sylvatica Wirtg. Achillea pseudotanacetifolia Wierzb. ex Rchb. Millefolium officinale Gueldenst. ex Ledeb. 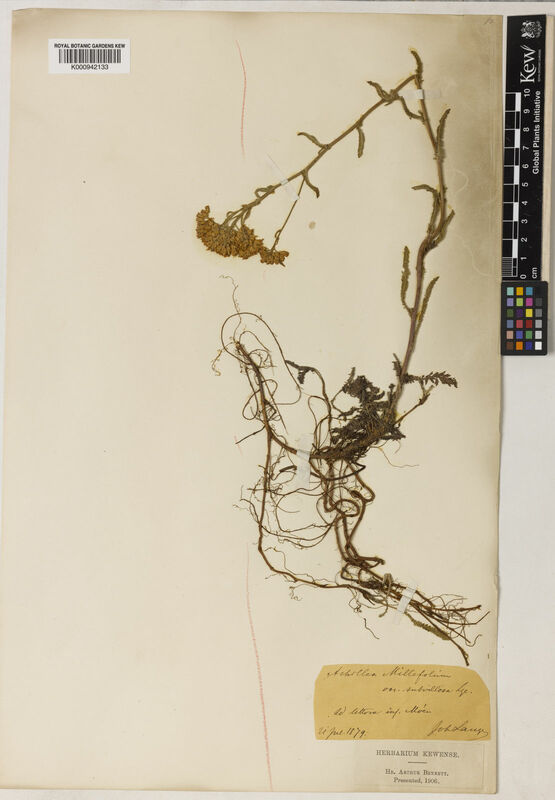 Millefolium vulgare Gueldenst. ex Ledeb. Liogier, A.H. (1996). Flora de la Española 8: 1-588. Instituto Tecnológico de Santo Domingo. (Agnew, A.D.Q. 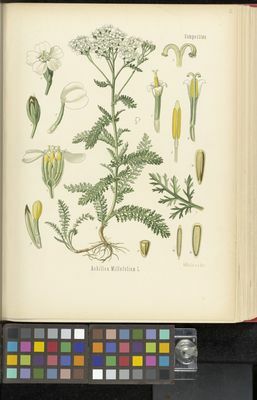 & Agnew, S., Upland Kenya Wild Flowers, ed. 2: 219 (1994)).